Idaho has a progressive income tax system that features the 13th highest top rate in the country, at 6.925%. Sales and property tax rates are relatively low. Retired? Use our Retirement Income Tax Calculator. * These are the taxes owed for the 2018 - 2019 filing season. Idaho has enacted several tax cuts in the past decade, lowering rates for top earners from a rate of 7.8% in 2011 down to the current rate of 6.925 for 2018. Even with the tax cuts, that remains the 13th highest top rate in the country. The Gem State also has lower-than-average sales taxes, with a statewide rate of 6% and a limited number of municipal sales taxes. Homeowners in Idaho likewise benefit from taxpayer-friendly policies, facing an average effective property tax rate of 0.75%. The national average is 1.18%. There are seven income tax brackets in Idaho. Marginal rates begin at 1.125% and reach 6.925% for earners in the top bracket. The table below shows tax rates and brackets for the Idaho personal income tax. Filers in Idaho can claim itemized deductions or the standard deduction, whichever is greater. The standard deduction is equal to the federal standard deduction, which in 2018 is $12,000 for single filers, $24,000 for joint filers and $18,000 for heads of household. The personal exemption has been eliminated for the 2018 tax year, just as with federal income taxes. Some taxpayers in Idaho may also be able to claim tax credits to lower their tax bill. Idaho credits include the credit for income taxes paid to other states, credits for charitable contributions and live organ donations and the grocery credit (which is available to low-income taxpayers to offset Idaho’s sales tax on food). Starting with the 2018 tax year, Idaho also has a nonrefundable child tax credit of $205 for each qualifying child. Capital gains are taxed as regular income in Idaho, and subject to the personal income tax rates outlined above. However, certain types of capital gains qualify for a deduction. Real property that is held for at least one year is eligible for a deduction of 60% of the net capital income (that is the net gain after expenses). Tangible property (i.e. not stocks, easements or other intangible goods) used in a revenue-producing enterprise and held for at least 12 months is also eligible for the 60% deduction. Farmers and ranchers may be able to claim the deduction for the sale of horses or cattle sold after 12 or more months, and any timber held for at least 24 months is eligible. Intangible property, like stocks or bonds, does not qualify for the capital gains deduction under any circumstances. Idaho’s state sales tax is 6%. This is the rate you will be charged in almost the entire state, with a few exceptions. As of 2018, 14 resort cities and three auditorium districts also charge a local sales tax in addition to the state sales tax. These local sales taxes are often called “local option taxes.” The cities with a local sales tax can decide which purchases are subject to the tax and at what rates. For example, it’s common for these cities to charge an additional tax on lodging, alcohol and restaurant food sales. The resort cities with local sales taxes include Donnelly, Driggs, Hailey, Kellogg, Ketchum, Lava Hot Springs, McCall, Ponderay, Riggins, Salmon, Sandpoint, Stanley, Sun Valley and Victor. Local taxes in these locations vary based on what you’re buying. For example, the tax rate you pay on restaurant meals is often different than what you pay on retail sales. In Ponderay and Kellogg, local sales tax is only applied to hotel and motel rooms. Similarly, the Greater Boise Auditorium District, Idaho Falls Auditorium District and Pocatello/Chubbuck Auditorium District collect a sales tax (5%) when you rent a hotel or motel room. 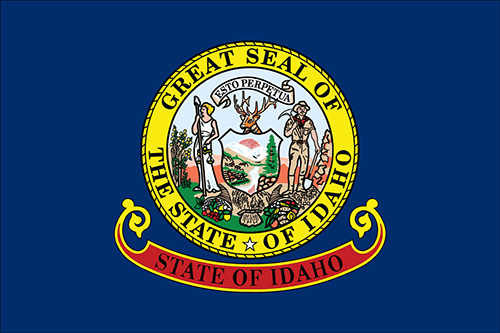 Idaho sales tax applies to the sale, rental or lease of most goods and some services. 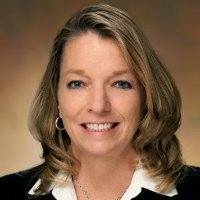 Temporary lodging (30 days or less) is taxed. Food is taxed in Idaho, though low-income taxpayers may be eligible for a tax credit to offset the cost of sales taxes paid on food purchases. Prescription drugs, however, are exempt from sales taxes. Idaho has the 14th lowest property taxes in the country. On average, homeowners in the Gem State pay 0.75% of their home values in property taxes each year—about $1,322 total. Property taxes help pay for local services such as schools, law enforcement and libraries. Property taxes are based on the market value of a home, but homeowners living in a primary residence may be eligible for a property tax exemption of up to $100,000. That means that a person living in a home worth that amount or less could pay no taxes whatsoever. Enticed by Idaho’s low property taxes? If you’re looking to become a resident, check out our guide to Idaho mortgage rates and getting a mortgage in Idaho. Going for a drive in Grand Teton National Park? Idaho collects a gas tax of 33 cents per gallon on both regular gasoline and diesel, the 18th highest state tax of fuel in the country. When combined with the federal gas tax, drivers pay a total gas tax of 51.4 cents per gallon of regular gasoline and 57.4 cents per gallon of diesel. Cigarettes in Idaho are taxed at a rate of 57 cents per pack of 20. The state has had the same rate since 2003 and it's one of the lowest cigarette taxes in the country. There is a separate tobacco tax on other tobacco products like cigars and snuff. That tax is equal to 40% of the wholesale price. Alcoholic beverages are taxed at varying rates in Idaho, depending on the type of beverage. The beer tax is relatively low, at just 15 cents per gallon (about 1.4 cents per beer). The state’s liquor tax is significantly higher: $10.95 per gallon, which is 10th highest in the U.S. However, it is still significantly lower than neighboring Washington State (which charges $32.52 per gallon), and it is common for Washington residents who live near the border to cross state lines and buy their booze in Idaho. There is no estate or inheritance tax in Idaho. Estates may still have to pay the federal estate tax, however. Nearly one-third of the United States potato crop is grown in Idaho, which is just the 14th largest state by area. 75% of Idaho’s energy is generated by hydroelectric power plants. 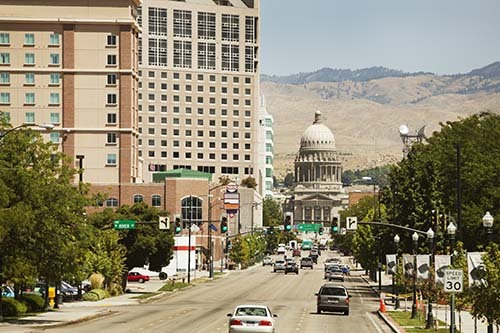 Boise, which is the state capital of Idaho, is the only city in the state with a population over 100,000. Are you curious how your tax burden stacks up against others in your state? SmartAsset’s interactive map highlights the counties with the lowest tax burden. Scroll over any county in the state to learn about taxes in that specific area. Where you live can have a big impact on both which types of taxes you have to pay each year and how much money you spend on them. SmartAsset calculated the amount of money a specific person would pay in income, sales, property and fuel taxes in each county in the country and ranked the lowest to highest tax burden. To better compare income tax burdens across counties, we used the national median household income. We then applied relevant deductions and exemptions before calculating federal, state and local income taxes. In order to determine sales tax burden we estimated that 35% of take-home (after-tax) pay is spent on taxable goods. We multiplied the average sales tax rate for a county by the household income less income tax. This product is then multiplied by 35% to estimate the sales tax paid. For property taxes, we compared the median property taxes paid in each county. For fuel taxes, we first distributed statewide vehicle miles traveled down to the county level using the number of vehicles in each county. We then calculated the total number of licensed drivers within each county. The countywide miles were then distributed amongst the licensed drivers in the county, which gave us the miles driven per licensed driver. Using the nationwide average fuel economy, we calculated the average gallons of gas used per driver in each county and multiplied that by the fuel tax. We then added the dollar amount for income, sales, property and fuel taxes to calculate a total tax burden. Finally, we created the Tax Burden Index in order to show how each county in the country compares to the county with the lowest tax burden (that is the county with a Tax Burden Index of 100).